Paddling out onto Lake Kivu we find a picturesque coastline where traditional fishing boats ply the azure waters and lush, verdant hills reach up around us. Go fast or enjoy a gentle pace whist enjoying the silence of the open water and watch for the many birds that dart in and out of bushes along the shoreline. DetailsWe start from Paradis Malahide, exploring the coast, enjoying the beautiful water, scenery and interesting sights as far as a small uninhabited island where we often stop for lunch. Alternatively, we find a shady spot under the trees on the mainland and maybe go for a walk to explore the countryside far from the tourism centres and towns. With local Rwandan guides this is a good but optional opportunity to meet local people and find out more about the challenges and rigours of their daily lives. 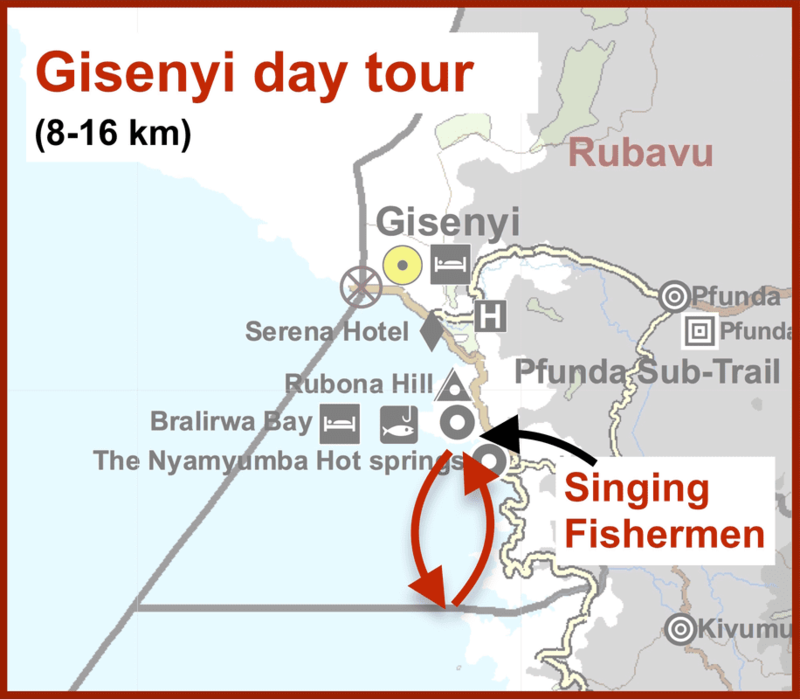 Packed Lunch: Make sure to bring a packed lunch as there is nowhere to buy any food once you have left Gisenyi.